This is the fourth of a series of blog posts by Imperial’s Open Access Team for OA Week. Our first post on Publisher Problems can be found here, our second post on Accepted Manuscript definitions can be found here, and our third post on Publisher Contacts can be found here. This blog post is directed to our Open Access colleagues in Higher Education. A big part of what OA Teams in libraries/research offices do – in those institutions that are fortunate enough to have the funding – is make decisions on which publications can (or need to) be published via the Gold OA route. As we diligently work away to process the scores of article processing charge (APC) applications we receive each month, it can sometimes be easy to lose sight of what we are actually authorising each time we approve an application: namely, the payment of thousands of pounds of taxpayers’/charities’/institutions’ money to (often exceptionally profitable) publishers. A recent survey of authors around the world found that many had never published OA, but for 27% of them this was because they could not afford the APCs required to do so. 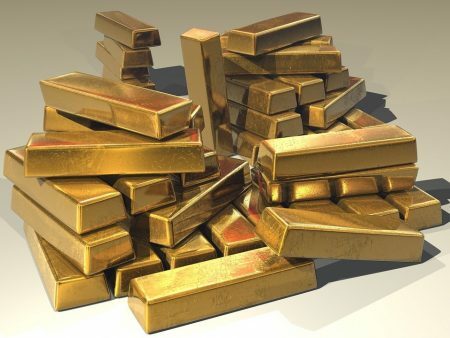 The cost of Gold OA has been rising beyond the rate of inflation for many years now (as reported by Jisc in 2016 and in Universities UK in 2017), and although funders have increased the amounts given to institutions to pay for APCs, it is becoming increasingly difficult to meet the demand from authors to publish their work OA. 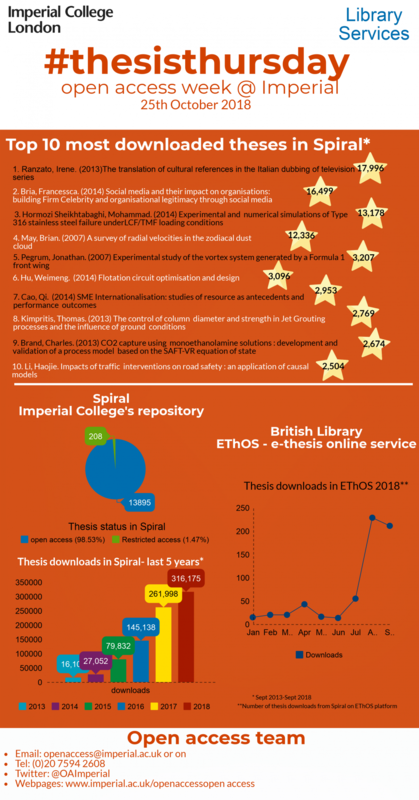 At Imperial College we are lucky to be the recipients of generous block grants from the Research Councils (RCUK – now UKRI) and the Charity Open Access Fund (COAF) to help our authors meet their OA requirements, as well as having access to an institutional fund to pay for APCs in fully OA journals. However, these funds are not bottomless, and can only stretch so far in the face of rising APCs and increasing demand from authors who are publishing more and more. Indeed, we have very recently realised that our RCUK grant is close to running out, and we will be need to be much more restrictive in how we use that fund to pay for APCs for the foreseeable future. This blog post from the Office of Scholarly Communication at Cambridge clearly demonstrates the issues faced in trying to use OA funds in a sustainable way. The Gold route is of course not the only way authors can make their work OA (and does not always require an APC). When funds run low we can use this as an opportunity to advise how the Green route can meet funders’ and REF requirements, and to promote the benefits of our institutional repository. However, what we aim to offer is a fair and consistent service to our authors, and this is difficult when we cannot be sure how long our funds will last, and whether or not we will be able to approve APC applications from one month to the next. 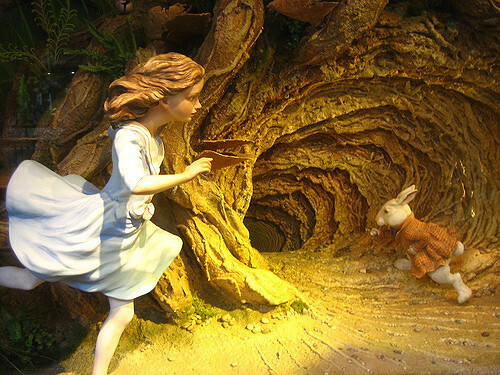 With the announcement by a consortium of European funders of Plan S (with a key change that hybrid open-access journals are not compliant with their key principles) and rumours of imminent changes to research funders’ open access policies in the UK (e.g. in the upcoming Wellcome OA Policy Review), there is hope that the unsustainable model of increasingly expensive Gold OA will be curtailed. It is important to recognise that the cost of APCs is not the only thing we should be considering, but also the approach that publishers are taking towards a transition to OA (through their self-archiving embargo policies, for example), as is acknowledged in Cambridge’s new policy. Other institutions (such as LSHTM and Bath) have also already introduced steps to prolong and distribute their OA funds in different ways, by introducing extra conditions such as caps on APC costs and restricting which types of hybrid journal they will pay for. Although at Imperial we have not yet introduced a cap for the APCs we will pay, this is something that is likely to be rolled out by funders in the near future, so we think it is important to record the APCs we have paid for already that were particularly costly. 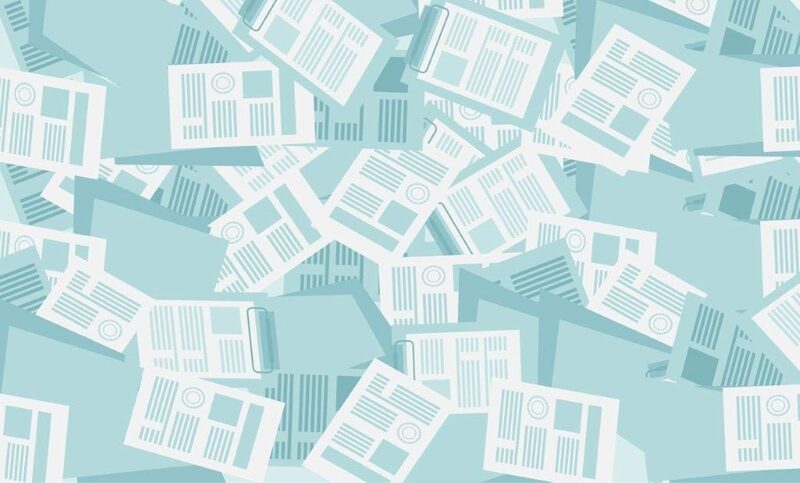 How APC costs are calculated and justified by publishers is a contentious issue, as argued by recent Imperial alumnus Jon Tennant in his blog post: “Why the term ‘Article Processing Charge’ (APC) is misleading”. The aforementioned potential caps on APCs from funders are yet to be announced, and in the meantime it is difficult to set an exact figure for what is an “expensive” APC. However, for the purposes of the resource being discussed, this figure reflects what we consider to be a significantly higher amount than the average cost of an APC (calculated as £2,269 in the Wellcome’s 2016/17 report). This is by no means an exhaustive list of all journals that would fit within the cost criteria, as it only includes APCs we have paid for at Imperial in 2018, and may miss those journals where we have received a discount that reduced the end cost below the threshold. Although we have paid for APCs for multiple articles in many of the journals included, we have included one example article for each to avoid duplication. We would like this to be a shared resource so we would encourage members of the community to add their own examples from different journals. So far the sheet includes examples of articles published in 39 different journals, from 10 publishers, with a total net cost of £137,609.17 (see table below). More detailed data on APC payments is available through the various reports that institutions produce (e.g. for Jisc). As identified in the Publisher’s Problems spreadsheet there are many factors that can make the process of paying for an APC unnecessarily complicated. One issue that the Expensive APCs sheet has further highlighted is the confusion and variations in price that can arise from APCs being advertised, invoiced and paid in different currencies. We have also included a column to identify those publishers who (often confusingly) separate out the cost for a “standard” APC and additional charges for CC BY licenses (including an eye-watering example of this where $3000 was paid just for CC BY). Other potential areas for discussion are the differences between APCs for open access and hybrid journals, and the value and impact of discounts/offsetting. While we should recognise that much progress has been made by the OA movement in disrupting and reshaping traditional academic publishing models, there is still much work to be done, as is passionately argued in the documentary Paywall: The Business of Scholarship which has received many screenings in OA Week. It is hoped that this spreadsheet will be useful as a way of not only identifying those publishers that are currently charging seemingly excessive amounts, but also monitoring change over time and (hopefully!) 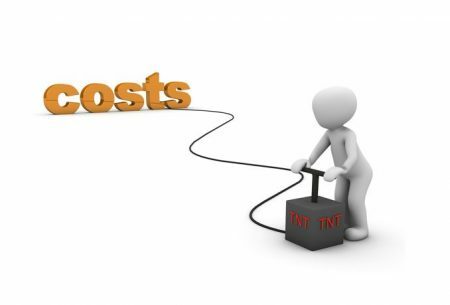 a transition away from rising costs. There is also the potential to use the examples to help authors make educated choices about where they publish, and increase their awareness of the charges levied. We plan to add a link to the sheet (and the other resources we have shared) on the forthcoming UKCORR resources page. Please go ahead and start editing/adding your own examples (checking the notes and instructions first), and we welcome any feedback for how these resources can be improved and best used. This is the third of a series of blog posts by Imperial’s Open Access Team for OA Week. Our first post on Publisher Problems can be found here, and our second post on Accepted Manuscript definitions can be found here. Exaggeration for comic effect is used at the author’s discretion. You have some papers where a fee has been paid for immediate Open Access months ago. The funders require that they be available with a CC BY license by now. They aren’t. Time to chase up the publishers. So you can just grab the email addresses from the publisher’s websites, send them a quick note, and move on with your day, right? You head to the publisher’s website for the first item on your list. But should you contact the OA team? Production? Author services? Customer services? Copyright team? This journal is published by a large commercial publisher on behalf of a learned society and so far you have only looked at the commercial publisher’s page. On linking through to the society’s page, you are confronted with yet another list of contacts, these with (even more) arcane job titles arranged in a mysterious hierarchy. You could email them all, but on receiving a query that was sent to twenty people, how many would assume that someone else would deal with it? (I probably would, to be fair). You move on to the next publisher in your list (let’s leave the tricky ones until last). There are about a hundred “contact us” links from a variety of different pages, and they all lead back to the same generic Customer Services web-form. You know from experience that that web-form leads to a Kafka-esque dance as your query is forwarded and cc’ed back and forth and up and down and always, ultimately, around and back to where it started, losing clarity and formatting at every step, but never accumulating any answers. Fortunately there is now a list of publisher contacts available here. In some cases, this should alleviate situations like those just described. If someone else has successfully found a way of approaching a particular publisher that works well, you can find out about it. If you have successfully found a way of approaching a particular publisher that works well, you can share it. If no-one has successfully found a way of approaching a particular publisher that works well, you can be comforted that it isn’t just you. The spreadsheet linked here is one that we have just started using internally at Imperial, and so far we have found it useful for all three of the above reasons. We hope to have a link available on the forthcoming UKCORR resources page soon. We will continue to add to it as time goes on – updating is always a concern with community resources, but we planned to maintain this resource internally anyway, so we felt we might as well share it. We hope that some of you will update it too. Feel free to edit, but please see the Readme tab for updating rules; if you think the rules need to be changed/added to (and they might well as this is a new resource), please contact r.hibbert@imperial.ac.uk. I have a suspicion that publishers are moving increasingly towards generic web-forms as the only way to contact them, and as recorded in the spreadsheet some of them actually seem to work very efficiently. If this becomes the norm, this resource may become redundant. If/when that happens, we will delete it with pleasure! This is the second of a series of blog posts by Imperial’s Open Access Team for OA Week. Our first post on Publisher Problems can be found here. The version of a journal article that has been accepted for publication in a journal. A second party (the “publisher”—see “Version of Record” below for definition) takes permanent responsibility for the article. Content and layout follow publisher’s submission requirements. This is taken from NISO-RP-8-2008, or to give it its full title, Journal Article Versions (JAV): Recommendations of the NISO/ALPSP JAV Technical Working Group*. The definition is followed by these notes. If the Accepted Manuscript (AM) is processed in such a way that the content and layout is unchanged (e.g., by scanning or converting directly into a PDF), this does not alter its status as an AM. This will also apply to “normalized” files where, for example, an author’s Word file is automatically processed into some standardized form by the publisher. The content has not changed so this essentially constitutes a shift of format only, and our terms are format neutral. This stage is also known as “Author’s Manuscript” by, for example, the NIH, but we believe that the key point is the acceptance of the manuscript by a second party. Elsevier refers to it as “Author’s Accepted Manuscript”. SHERPA/RoMEO refer to it as “Postprint”, but this term is counterintuitive since it implies that it refers to a version that comes after printing. Many authors are confused by the details of Green OA, not knowing what version(s) they can share, where they can share them, and how etc. This confusion arises in part because of the various permissions of each publisher, and even each journal within a publisher’s collection. Permissions are an issue for another day, but surely authors’ (and our) lives could be made easier if publishers were to agree on a definition, such as that above (assuming for the moment that the above is satisfactory)? This is indeed the definition used by Taylor & Francis, though other publishers offer their own interpretations of what an accepted manuscript is, increasing author confusion. Which version can I upload? In processing deposits to Spiral, Imperial’s IR, we often have to reject items because the authors have uploaded the incorrect version. We of course contact the author when this happens and request the accepted manuscript. When explaining this we try to use publisher specific details and if possible, give an example. A spreadsheet has been setup for this purpose, here. It gives definitions of accepted manuscript by publisher with a link to the information on the publisher’s site, and where available, an example, if the publisher provides clear or labelled accepted manuscripts. It’s in its infancy at the moment, but hopefully with community input this can grow to become a useful resource for everyone. Presumably we’re all sending similar communications to authors about accepted manuscripts, so this should hopefully save us some time, and increase author awareness. Please contribute to the spreadsheet, and do let us know if you have any questions or comments. *A Recommended Practice of the National Information Standards Organization in partnership with the Association of Learned and Professional Society Publishers. Prepared by the NISO/ALPSP Journal Article Versions (JAV) Technical Working Group. The needs of the OA community have not and are not being met by established publishers, causing OA/SCM teams many headaches in their daily tasks. In a previous role I began to record the various problems I encountered, and I’ve been continuing this work with colleagues at Imperial. Our list currently contains 106 issues with 70 different publishers. Some publishers are only listed once in the document, whilst some repeat offenders feature as many as 7 times. We’ve added columns for contextual information, such as the type of publisher, their location, whether the problem relates to Gold or Green OA, and if Gold, whether hybrid or pure. This allows us to do some basic analysis on the data, for instance, we can filter to discover that most of the publishers who cause us problems in terms of licensing are small/society outfits based in the USA. We’ve come up with 7 categories that we use to collate similar problems together, as below. We record publishers whose basic APC costs we consider to be excessive and also those who have unfair or unusual charges, such as those who charge an additional fee for a CC-BY licence (a cynical attempt to exploit institutional UKRI/COAF OA grants? ), compulsory page and colour charges, or APC charges based on article length. For issues around CC licences, particularly changing them, and other licensing problems such as confusing or restrictive publisher-own Gold licences. Examples of payment problems include using different systems for APCs and other charges, sending invoices for articles that should be paid via prepay, or a publisher being repeatedly unable to trace payments. Predominantly for confusing, conflicting or very restrictive copyright/self-archiving policies, such as rolling embargoes or deposit only in closed access repositories, or only on an intranet (me neither). To be listed as a predatory publisher/journal in our list the publisher/journal must have failed several of the checks on the https://thinkchecksubmit.org/check website. For difficulties in arranging Green/Gold and the processes that we/the publisher go through. Examples include publishers requiring payment to be received before publishing, unintuitive dashboards for prepay schemes, or delays between ordering Gold and receiving an invoice. A problem recorded just this morning regards one publisher’s decision to set an exchange rate from $ to € in January of each year, which is then set until the following January, irrespective of currency fluctuations. This potentially increases costs as well as adding extra administrative burden when processing an invoice charged in €, to be paid in £, for an APC originally advertised in $. To do with what the publishers actually produce, so for problems with their product, e.g. not stating whether something is CC-BY, broken DOIs, confusing article types, attaching adverts to articles, etc. The purpose of the spreadsheet was to allow us to see which problems and which publishers were frequently reoccurring so that we could try and locate particular areas that need addressing. The information, it is hoped, will be of use to the rest of the OA community, as well as other interested parties, such as funders, to see how we can collectively petition publishers to change their practices and quicken the transition to a more open system of scholarly communication. Many of the entries were recorded some time ago and may not be up to date, and we would welcome collaboration on the sheet to make it as accurate, current, and in depth as possible – we hope to have a link available on the forthcoming UKCORR resources page soon. Please do make your own additions/amendments and get in touch and let us know if you have any questions or comments.